Lately, we’ve been discussing how to develop a food delivery platform. But building an app is actually only half the problem. There are some challenges associated with maintaining a food delivery platform that usually stay in the shadows. While the current wave of food and grocery delivery startups was born in the “Uber-for-X” rush, you need to remember that the logistics for food delivery are far more complex than matching riders with drivers and providing GPS tracking in an app. For any food delivery platform to succeed, it needs to carefully build out and maintain menus and inventory lists for thousands of individual merchants, track high volumes of daily orders, and run an efficient dispatching system. It’s a serious task that requires a thoughtful approach. After carefully studying some of the existing food ordering and delivery solutions, we discovered that there’s an obvious problem with their menu and order aggregation systems. So today, we’re going to take a closer look at this problem and the mess it’s already created. Moreover, we’ll suggest how you can avoid the risks of being destroyed by unhappy audience. 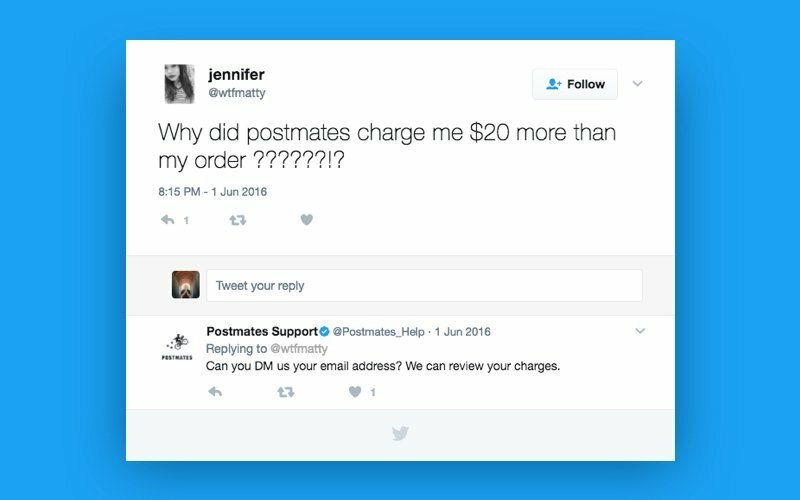 Not so long ago, the well-known food delivery service Postmates was blamed for misleading pricing in its app. Users complained that estimates after adding goods to the cart didn’t agree with the actual price when their orders were delivered. 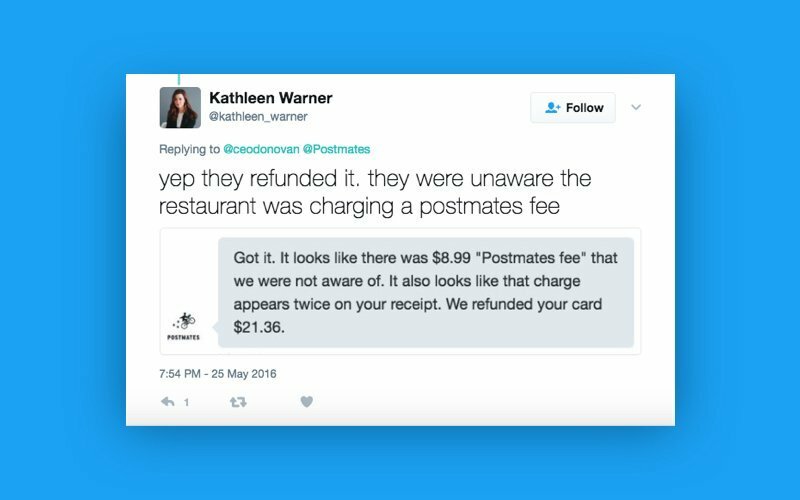 Combined with an obligatory delivery fee and Postmates’ 9 percent service fee, some users ended up paying almost twice as much as the price initially shown. Let’s try to figure out how this happened. To survive in the overcrowded food delivery field, food delivery startups need to spend big on marketing and promotion (in addition to salaries of in-staff employees and contracted couriers), so charging users nominal service fees seems quite reasonable. After all, startups need to keep their business going. But the trouble is that service and delivery fees are sometimes not that insignificant. For instance, Caviar charges an 18-percent service fee on top of each order. Moreover, Caviar has a $15 minimum in some cities, but doesn’t reveal this fact until checkout. Another popular grocery delivery startup, Instacart, charges up to $12 for each delivery, and the delivery fee for aforementioned Postmates can easily top $10. But while people are willing to sacrifice their money for the convenience of takeout delivery services, discrepancies between estimates and final costs – specifically, being charged way more than expected – can frustrate customers and turn them away from a service. This is precisely what happened to Postmates. Soon after being criticized for inaccurate estimates, Postmates acknowledged the problem and tried to explain that ambiguity in estimates can occur when customers order from merchants that are not official Postmates’ partners. April Conyers, an official Postmates spokesperson, stated that “pricing is typically right on target” when it comes to restaurants that are part of Postmates’ special Merchant Program, since all necessary information (menus, prices, and commissions) is agreed beforehand. Restaurants that participate in the Merchant Program are highlighted on a city’s “Featured” landing page within the app. This sounds great, but there’s a catch ‒ partnership agreements aren’t Postmates’ favorite business strategy. To power its search and menu aggregation engine, Postmates relies on Foursquare’s API. 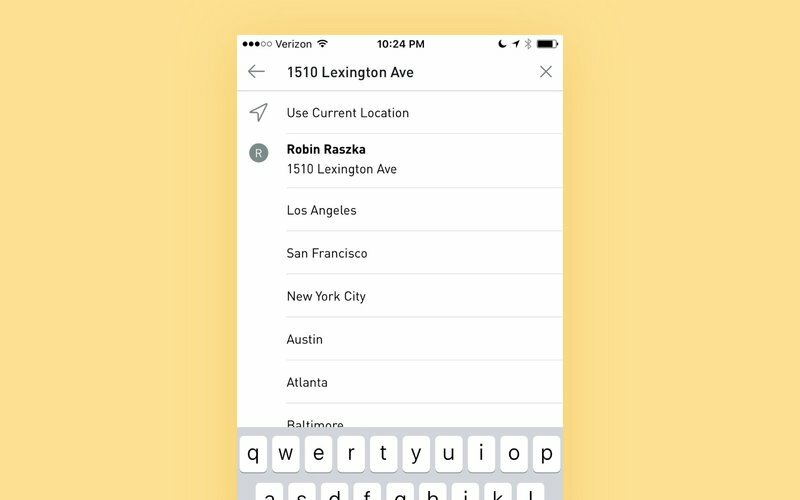 When users enter the name or address of a restaurant they want to order from, Postmates will automatically link them to restaurant listings as they appear on Foursquare. Foursquare’s API might seem perfect for powering a food search and ordering system. And to a certain extent this is true ‒ Foursquare aggregates a lot of restaurant data and makes that data easy to access. In reality, however, the Foursquare-powered search system is not so perfect, first and foremost because data are not always updated fully or in a timely manner, meaning that there can be discrepancies in menus, prices, and so on. But this is not the only drawback to the system. These days, Postmates proudly states that it delivers everything (lunch, dinner, groceries, office supplies, pills, and more) “from your favorite places on-demand.” Still, Postmates’ specialty is restaurant delivery, and most users go to the service for this purpose. 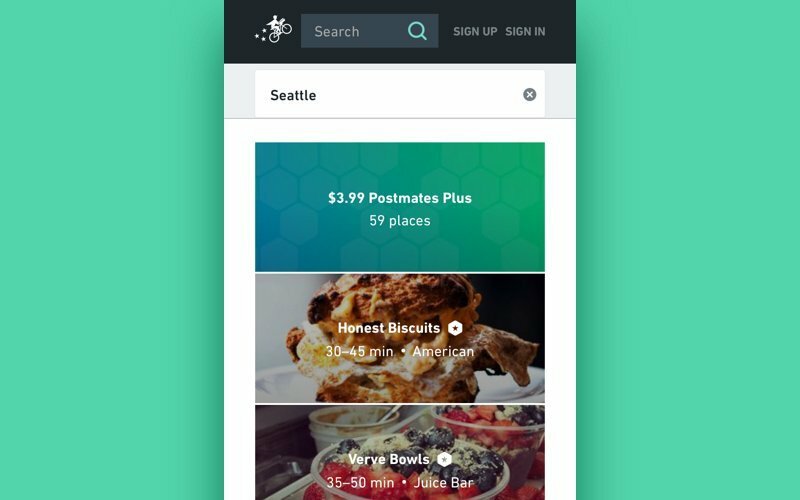 Within Foursquare-powered systems, users can search for a restaurant by address, so once a restaurant’s address is entered into the Postmates search engine, it will be added to the Postmates system automatically, meaning that restaurants can be featured in the app without even joining the Merchant Program. However, Postmates’ current search and aggregation system doesn’t appeal to a lot of restaurants, mainly because there’s no way to remove a restaurant from the service even if the owner wants to. So restaurateurs are starting to speak out publicly about their discontent. David Meinert, an owner of a restaurant chain in Seattle, says that he doesn’t like how Postmates represents his business and doesn’t think that the service’s staff handles food properly. Meinert first noticed Postmates a year ago when he received a complaint from a customer about being delivered an incorrect order of cold food from Lost Lake. Meinert was surprised, since this restaurant does not deliver food to distant regions ‒ after all, some of the restaurant’s dishes aren’t supposed to stay in a container for long. Mienert was outraged and called Postmates to ask them to remove his restaurant from the app – but in vain. For restaurant owners like Meinert, it’s not just that Postmates delivers without their permission, it’s that these owners feel that the service misrepresents their brands. Poorly served food, outdated menus, and wrong prices shown on an app like Postmates can kill a restaurant’s reputation. For Postmates, however, the Foursquare-powered system is a great opportunity to scale the platform. But what would happen if restaurant owners turned their backs on the service en masse? According to Postmates’ director of business development Anand Dass, Postmates focuses first on customers and only secondly on restaurants from which it delivers. But a client-centered approach isn’t the best for a service where multiple stakeholders ‒ customers, restaurants, and deliverers ‒ must be equally involved. In other words, Postmates could end up with nothing if restaurants turn their back on it. So what can you do to maintain a good reputation and good relations among both users and restaurant businesses? The answer is pretty clear – the success of any food delivery platform hinges on the strong and trusting relationships between your service and the restaurants from which you deliver. More importantly, restaurants should always have a choice as to whether they will deliver through your service or not. By drawing up contracts with restaurants (or any other establishments), you can have the opportunity to discuss how to market their products most effectively ‒ for instance, you can choose menu items that travel well, confirm prices, establish the methods by which delivery couriers will pick up and deliver orders, and, finally, negotiate all commissions for a restaurant’s sales that come through your service. Ironing out all these details in writing can help you avoid misunderstandings with customers and tensions with restaurants that don’t appreciate how your service handles their products. Unfortunately, some of the existing food delivery platforms do a huge portion of their business without entering into partnerships simply because they don’t want to sacrifice their scale. Making this mistake at the very beginning may later result in very negative outcomes, however – including your business shutting down. This hasn’t happened to any major food delivery services so far; but all the same, businesses are much more secure when their audience, which they rely on for their revenue, is on their side.